So, last week we began my two-part penance for missing my St. Patrick’s Day cocktail window. Today’s drink is supposed to be the direct descendant of Alternative Ulster, but to me it’s really a completely different thing. Less sweet, more sophisticated and boozy. The Brainstorm is definitely of the classic age of cocktails. 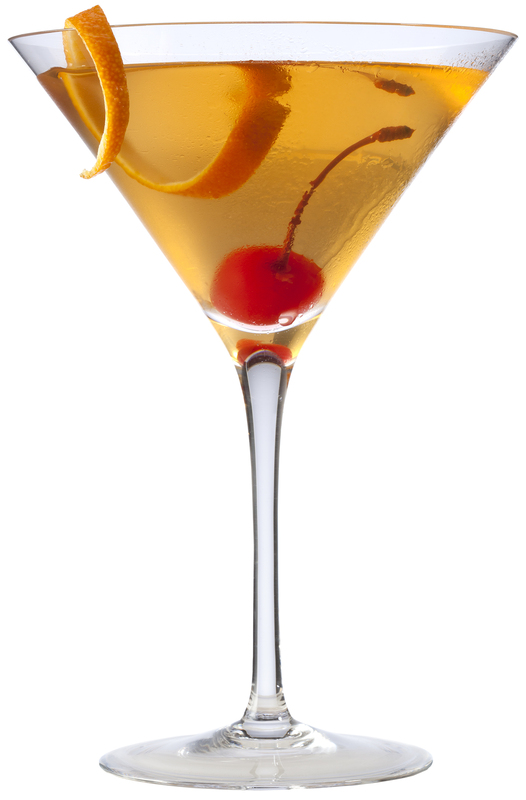 A version appears in 1930’s The Savoy Cocktail Book. 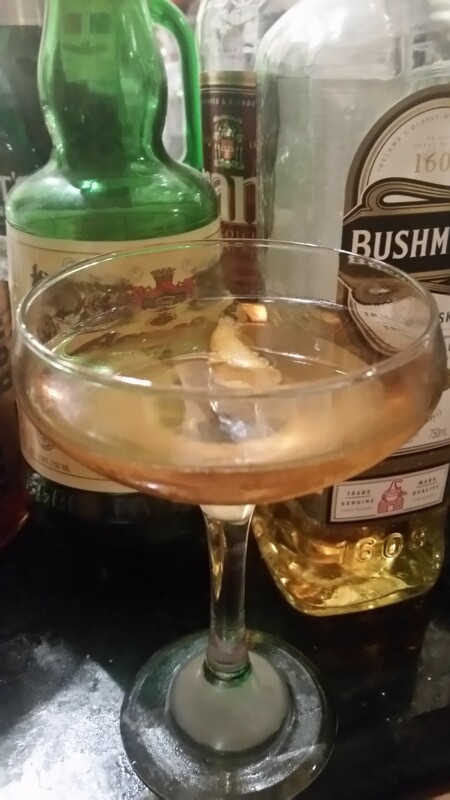 David Wondrich, from whom I completely stole this week’s recipe, calls it a drink of “obscure but venerable origins.” In others words, we know it’s pretty old, but we don’t know a hell of a lot else. Still, this is a very decent concoction for anyone who likes their Irish whiskey not too dressed up, but isn’t quite up for a straight shot with a Guiness chaser. On the other hand, I have no idea why this drink is called a brainstorm, as I find it quiets the mind nicely. 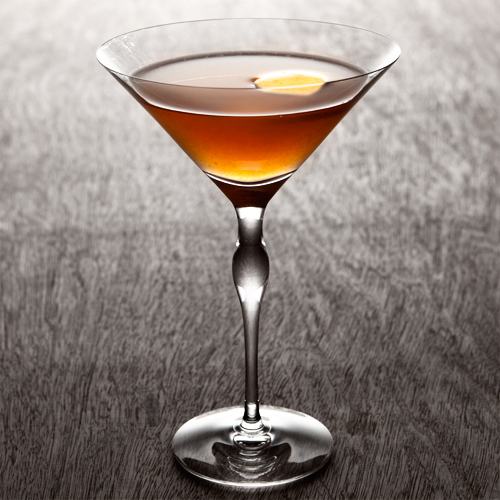 Combine the Irish whiskey, Benedictine (a very sweet liqueur whose ingredients are known only to an order of monks and the deity they worship), and dry vermouth in a cocktail shaker. Note, I didn’t say “cocktail shaker or mixing glass” as I usually do because, for some reason, Wondrich — who, like the majority of cocktail purists, ordinarily disdains shaking anything not containing citrus or other fresh ingredients lest it cloud the final result — states we should shake this particular drink, pretty much without explanation. So, for pity’s sake, shake this drink. Then, as per usual, strain it into a chilled martini style glass or cocktail coupe. Add your orange twist. You may then toast your favorite Irish authors. For me it’s a battle between George Bernard Shaw and James Joyce, but if you go with Oscar Wilde, I won’t object. I tried this one with the last of my bottle of Bushmills, as well as Kilbeggan and Concannon. I’d give a very slight edge to the milder tasting Bushmills on this drink but, really, every iteration came out fairly similar. More dry than sweet, almost forbidding, but a very respectable and serious cocktail overall. I tried boosting the Benedictine and Martini dry vermouth, as some recipes suggest, but that didn’t improve the drink. The Brainstorm wants to be dry. I should also add that there are numerous versions of the Brainstorm that very so radically as to be almost completely different cocktails, including many with rye and bourbon. I’m sure those may be pretty good, but they’re aren’t particularly Irish, are they? In any case, I am attempting to make amends with a pair of posts featuring Irish whiskey. Considering that it’s smoother, sweater and less smokey than its Scottish cousin, it’s a bit of mystery to me why there aren’t more popular cocktails featuring this mythic force behind one of the world’s most fascinating nations and peoples. It’s time to do my part to make up for that sad fact. Today’s cocktail is actually a variation on a classic cocktail we’ll be exploring next week, the Brainstorm. 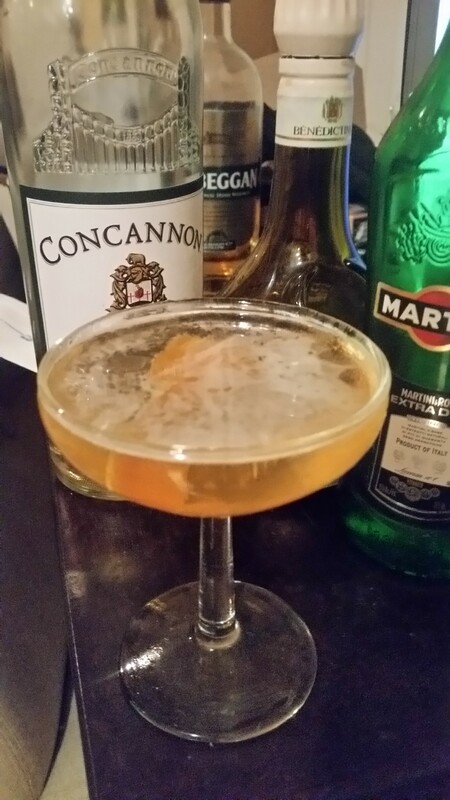 I started with the latter day version, though, because it features Amaro Montenegro. I got to enjoy this popular European liqueur thanks to a gift from a wise and good friend some time ago — and I had just barely enough left to use it in one more cocktail, even though I’m pretty sure I’ve only used it for a DOTW once before. That’s because the bittersweet orangey member of the amaro family of liqueurs is much to my liking with just a little bit of soda water or on the rocks. If you enjoy Aperol, and boy do I ever, definitely give this one a try. As I learned via Kindred Cocktails, Alternative Ulster was developed by New York bartender Joshua Perez. It appears to have borrowed it’s name from the punk rock anthem by Northern Ireland’s Stiff Little Fingers, or perhaps the now defunct music magazine that also borrowed it’s name. It’s a lively and simple little cocktail that’s fairly bracing and balanced between the sweet and bitter, as befits its Irish and pop-punk rock heritage. I like it and maybe you will, too. Combine all of the liquid ingredients in a cocktail shaker or mixing glass with plenty of ice. Either stir vigorously or shake and strain into a well-chilled coupe or martini-style cocktail glass. Add your lemon twist and enjoy. As for the toast, why not salute Northern Irish peace? When I was kid, solving “the troubles” was often compared to Middle East peace in terms of difficulty. Yet, this April the world will be celebrating the 17th anniversary of the 1998 agreements that really did seem to end this much too lengthy near civil war. Maybe someday, probably not any time too soon, I fear, we can have some similar luck of the Irish in other places where hatred and fear still seems to rule. It’s worth drinking to. While Mr. Perez’s original recipe suggests using Jameson Irish whiskey and Dolin’s dry vermouth, I didn’t have either of those on hand. Instead I used Martini for my vermouth and three different brands of demon whiskey: Bushmills, Kilbeggan, and Concannon. All three worked fine, though I lean slightly more in favor of the results that I got using the latter two brands. They had a bit more bite to them, leading to tangier final products. Also, though I usually lean towards shaking over stirring, this time I think bartender Perez perhaps had it right by suggesting stirring this drink. Don’t ask me why, but it just seemed to come out every so slightly better that way. Just make sure you stir a lot and make sure your glass is very thoroughly chilled. And now, this is the time at Drink of the Week when we pogo.